How is January treating my healthy hedonists so far? Are you still waking up early to go to the gym? Staying dry and tequila-free? Or have you broken your elimination diet by eating an entire bag of Swedish fish at the women’s march…? Despite the gummy seafood, I’d give myself a solid B+ for my efforts amid all these restrictions, since as you know, restrictions aren’t really my style. Which is why I want to take a minute to focus on what I’m adding more of, instead of just what I’m taking away. 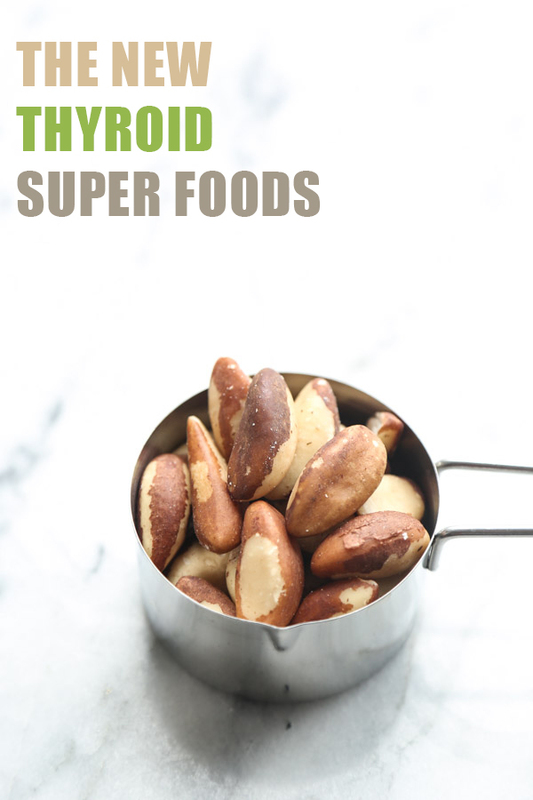 So let’s talk about some thyroid-friendly “super” foods, shall we? I usually try to stay away from food trends—both the healthy and the gluttonous ones. The idea of “super” foods I find to be a particularly silly one. In reality, there’s no official list. It simply refers to ingredients that have a high nutrient density, which includes most vegetables, even those old, washed up 90’s food pyramid stars: broccoli and spinach. When I’m doing mental math around my diet, I sometimes forget to find the joy in eating. This happens during periods of restriction, like this month’s elimination experiment. But also when I get bogged down by specific vitamins that are supposed to treat my Hashimotos. I don’t need my morning smoothie to involve a complex 10-ingredient alchemy, thankyouverymuch. In keeping with The Wellness Project philosophy, I’ve found that the most fun and easy way to add more nutrient density to my diet is to slowly onboard myself with one new ingredient at a time. Last year, it was sprinkling hemp hearts on salads, loading spice mixes with increased quantities of turmeric (white marble counters, be damned), folding chia seeds into my oatmeal, and sipping matcha or bone broth instead of regular green tea. If you’re a member of the Hashi Posse, eating three raw Brazil nuts a day just might keep the endocrinologist away. The reason? High concentrations of selenium. This nutrient plays a critical role in the conversion of the primary thyroid hormone (T4) to the more bio-available version (T3), and is essential for protecting against the toxicity of too much iodine in your diet (see below). Make: Brazil Nut Pangritata. Sprinkle it on soups, eggs, or salads. You can also use it to coat chicken or fish instead of gluten-free breadcrumbs. If you played a lot of Oregon Trail as a kid, you might remember that iodine was a popular option for treating bear wounds (I always went straight for the amputation). It’s a powerful antimicrobial—think Purell, minus the other toxic chemicals—and also works similarly in your body as a virus and fungus fighter. There’s some debate about iodine’s role in thyroid health. It’s an undeniably essential ingredient for the production of healthy thyroid hormones. But too much of it can also be toxic. In our modern world, finding this balance can be tricky. Not only is iodine hidden in not-so natural places (table salt). But so too are chemicals that inhibit iodine’s ability to do its job in your body (chlorine in water, goitrogens in soy). I’m going to do a longer post on this soon. In the meantime, give yourself a powerful natural dose of iodine through sea vegetables, especially if you’re still eating a lot of soy. So long as you have Brazil nuts in your diet, selenium will protect against any iodine overdose, and make sure your thyroid hormones keep chugging along. 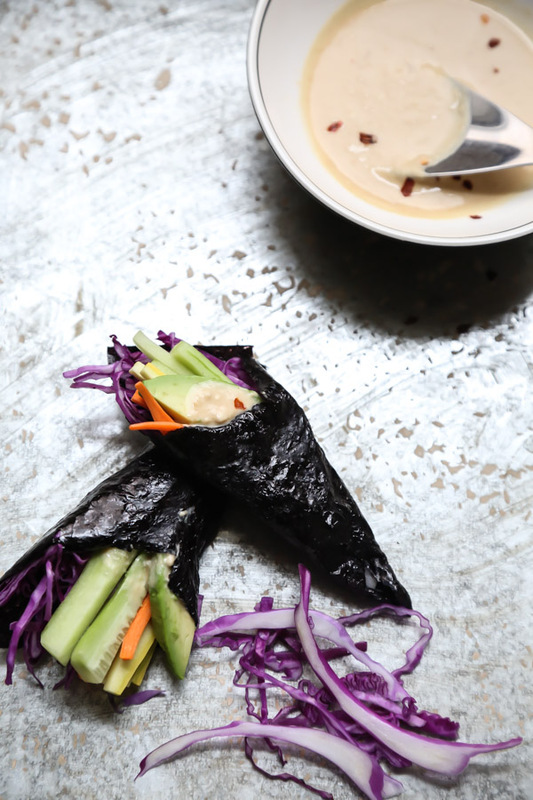 Make: Use nori sheets as sandwich wraps or as a snack. Create a vegan tuna salad with wakame for everyday spreading on toast (the sea vegetables give it that great fishy taste without the fish). You can also sprinkle wakame or hijiki in Asian-inspired soups or bulk up your salads with it. Much of the bone broth craze is due to the essential amino acids you extract from animal bones as you simmer them for hours. If making tubs of stock is not in the cards for you, or you’re a recovering carnivore, you can just add powdered gelatin or collagen to your meals. It’s relatively flavorless and works as a thickener. The health benefits are numerous—from stronger hair and bones, to improved digestion. For Hashi peeps, it’s also a boon to the immune system. So if you’ve suffered from hair loss as a result of autoimmune issues, it kills two birds with one stone. Make: Bernard Jensen, Great Lakes and Vital Proteins brands are both made from grass-fed animals. Here’s a great list of all the things you can make with gelatin, including kids vitamins and hair masks. Try making a batch of healthy marshmallows, which keep well for the occasional treat. Or simply add it to smoothies (you won’t taste it) and soups in place of real bone broth. Amanda Chantal Bacon, the ultimate alchemist (and member of the Hashi Posse), once said that maca was a gateway adaptogenic plant. It was one of the first she turned to when she tried to heal her hypothyroidism, and it’s also one that’s particularly delicious. Technically speaking, maca powder helps fine-tune TRH and TSH messages that impact how many hormones the thyroid produces. It’s also packed with B vitamins, which thyroid peeps tend to be deficient in. Make: Try adding maca to roasted nuts or granola (see Maca Mesquite Walnut recipe in the Moon Juice Cookbook). You can add it to your smoothies (here’s a great Not So Moody Maca Smoothie). It pairs very well with chocolate, so add it to anything with dried cocoa, or these truffles instead of matcha. A common symptom of Hashimotos is digestive issues. I’ve been making fresh ginger tea and adding tons of the chopped up root to my cooking for the past few years to help ease my stomach into calmer territory. But this year I’m thinking outside the box and going to focus on another natural digestive aid: fennel seeds. 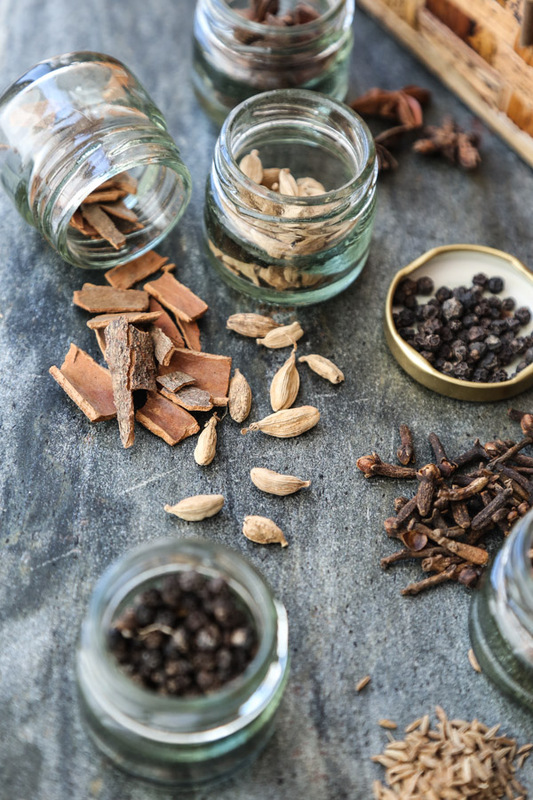 Make: Add the whole seeds to a diffuser, along with other herbs, for a soothing tea. There’s a recipe in The Wellness Project for Sleepy Tummy Tea including fennel seeds! It’s also great in homemade sausage or minestrone soups, or minestrone soups with homemade sausage. And stay tuned for more recipes using these 5 bad boys in the weeks to come! That’s weird about selenium protecting against iodine overdose. I take 800 mg a day to detoxify heavy metals, but when I added an iodine supplement, my thryroid levels suddenly spiked into the danger zone. When I stopped the iodine, they went back to normal. So I’m not sure how true that is. Meanwhile I use fennel seeds as tea often when my digestion is off – but it does make me very sleepy so avoid in the daytime if you need your energy high. It’s also a great anti-anxiety remedy. Thanks for all this terrific info! Never heard of maca. Most people don’t recommend dosing with iodine in supplement form for that very reason. Also why functional medicine practitioners recommend buying sea salt instead of iodized table salt, so you’re not flooding your system and doing do without a lot of other naturally occurring nutrients that might compliment/offset your absorption. Especially with iodine, it’s a delicate dance. If you’re eating a lot of fish and vegetables, you’re probably getting enough. If you added a supplement on top of that, not surprising you overdosed. I heard that maca root is goitronogenic and needs to be cooked. Have you heard anything about this? I’ve been meaning to do more research. Im under eltroxin 5m for my tiroiditis hashimoto,but going bad. Im drinking now ginger with raw honey,turmeric,and lemon,very good for my stomack also. But start with colagen with magnesio from Ana Ma Lajusticia,de España. For my spondilosis. Can i add maca? I don’t see why not. It’s an adaptogen, so usually not in conflict with any existing supplements. good luck!